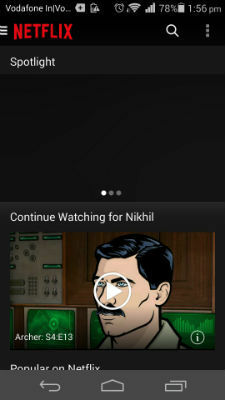 Always wanted to access Netflix and Spotify’s massive library of music and TV shows in India? Here’s how you can do so easily, quickly and legally. While India has kept in step with the way the Internet is used in the West in most aspects, we’re still behind when it comes to consuming streaming content. Apart from YouTube and some music and movie streaming services like Gaana, Saavn and BigFlix, there aren’t too many options for Indian users. Globally, Netflix and Spotify are two massive names in streaming whose absence in India is conspicuous. Netflix is extremely popular because of its massive library of American TV shows while Spotify has a gargantuan collection of international music. 3. An Android smartphone (required if you want to use Spotify on your phone. Also, I didn’t test these options on a jailbroken iPhone although I suppose it should work on it as well). 4. A working credit card (for Netflix). When you first create a Netflix account, you’ll be given the option to start a month long free trial period. This requires you to input your credit card details and you’ll be able to cancel your subscription anytime but if you choose not to, you’ll be automatically enrolled into the regular subscription for which you’ll be charged $5.99 (Rs. 370 approx.) per month once your free trial month ends. 1. Install the Hola Better Internet or the ProxMate extensions in Google Chrome. I’d suggest you install both so that you can switch between the two if one starts exhibiting issues, and turn one of them off. For this instance I’ll assume that you’ve kept ProxMate switched off and are using Hola. 2. 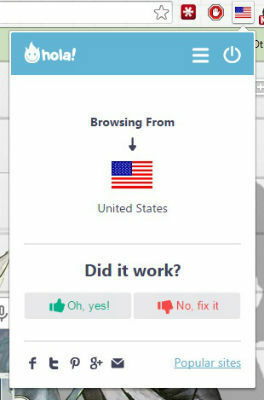 Make sure Hola is turned on- at first startup, the extension pop-up will ask you to choose a country you’d like to browse from; the United States is the best and safest option here. If the extension is working, a small US flag should be displayed to the right of the Chrome URL bar. 3. Head to Netflix. If Hola’s proxy connection is working as it’s supposed to, the Netflix homepage should open. If instead, you’re getting a ‘Netflix is not available in your country’ message, click the Hola flag icon and under ‘Did it Work?’ click ‘No, it didn’t.’ You can then choose from a list of proxies that you can use instead. On the Netflix homepage, create a new user account. Netflix lets you use your Facebook or Google+ credentials to log in, so, if you’re feeling lazy, just use those. 4. 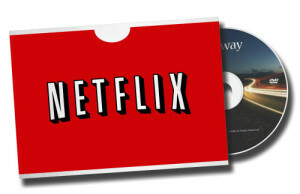 If you’ve done everything correctly, you should be all set to use Netflix! 5. IMPORTANT: Both Hola and ProxMate use proxies to help you access websites, so I’d suggest you only switch them on when you want to browse websites you otherwise can’t access from India. Keep these extensions turned off when you’re doing sensitive stuff like netbanking or online shopping. 1. Install the Hola app from the Google Play Store. 2. 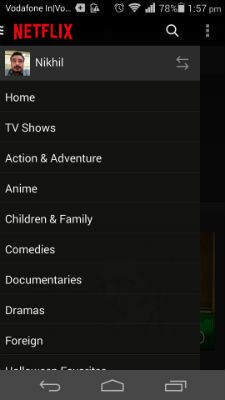 When you run the Hola app, you’ll see the option to install the Netflix app. Do so. 3. The Netflix app will take some time to install so be patient. Once it’s done, you’ll be able to log in to the app using the account you created on the desktop, or you can create a new account on the site itself. 4. You’ll be able to start using Netflix on your phone or tablet. Every time you want to run the app, you should do so from within the Hola app. When you’re not using Hola, you should kill the app using the Android task manager. 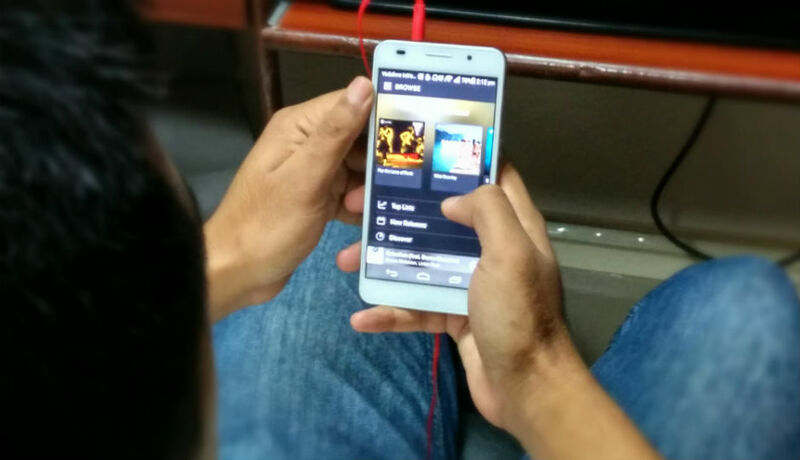 Unlike Netflix, using Spotify in India is a much simpler affair. You don’t need a credit card and you aren’t even required to keep Hola or ProxMate installed in Chrome. 2. Head to the Spotify homepage. If everything’s working correctly, you should be able to create a new account. 3. 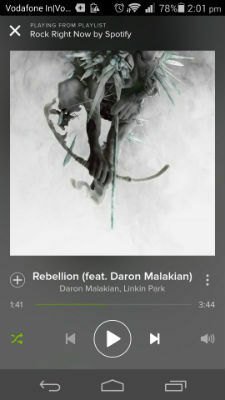 You will now be able to either download the Spotify desktop player or access the Web player. Spotify only has geographical restrictions in place when you’re creating a new account, so once you’ve done so using Hola, you will be able to access the service without any hassles and without using proxies. 1. Once you’ve created your Spotify account as directed above, download the Spotify apk from the number of sources online (as always when it comes to installing apps from outside the Play Store, make sure you trust the source and do so at your own risk) or through the Hola app. 2. Run the app and sign in using your account credentials. 3. 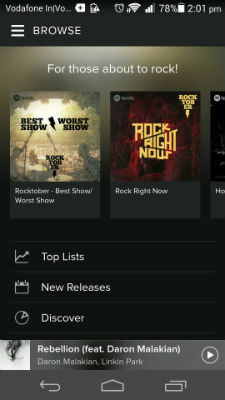 Provided you’ve done everything correctly, you’ll be able to start using Spotify on your phone. Let me know in the comments below or on Twitter (@postwar) if you face any issues and I’ll try to resolve them.